We’ve all had those days when you’re racking your brain for something to photograph. 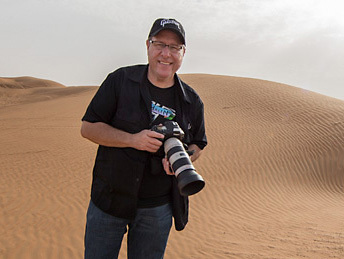 Join Jeff Leimbach for a class packed with inspiration for new ideas, places, and times to create photos! It’s always a good idea to have some additional photographic ideas in your back pocket for those occasions when your original plans just don’t work out. No matter where you are, the time of day, or the type of weather, there’s always something to shoot if you are creative. By the end of the class you’ll be motivated to grab your camera, get out there, and make some photo magic. Composition is important to any good photo. Professional photographer Scott Kelby covers the basic rules, but then demonstrates how to actually apply these techniques in a real world setting. He shares his secrets and some trial and error examples in getting the photo you want. This class is perfect for a beginner photographer needing to learn about composition.